• Bilbo stands 12 inches tall and features over 20 points of articulation. • He is dressed in his traveling outfit and comes with his sword, “Sting”, and a sheath. 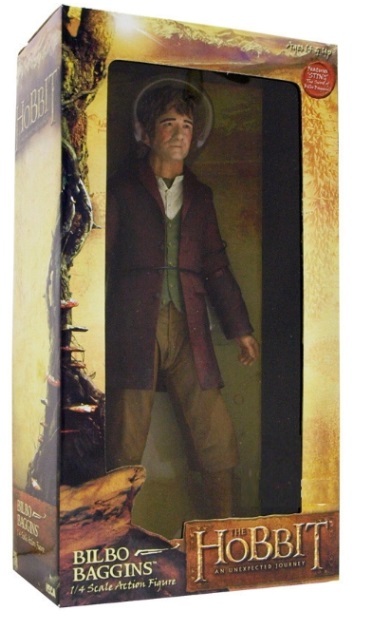 • From one of the year’s biggest films comes this incredibly life-like figure of Bilbo Baggins.